SCOTTSDALE, Ariz., and LONDON, Ontario — TGen Drug Development (TD2) and Critical Outcome Technologies Inc. (COTI) (TSXV:COT) announced today that they will work together to obtain approval of clinical trials for a promising new anti-cancer drug called COTI-2. TD2, TGen’s Scottsdale-based drug-development subsidiary, will work with COTI to complete the Investigational New Drug (IND) enabling research necessary to gain U.S. Food and Drug Administration approval of clinical trials, perhaps by the end of 2010, and eventually move the drug to market where it can benefit patients. COTI-2 works by inducing a brisk apoptotic response — the cancer cell kills itself — by targeting a pro-survival enzyme family called AKT. Initial tests have shown that COTI-2 can limit the growth of tumors in several types of cancer without the toxic side effects seen in other AKT inhibitors. 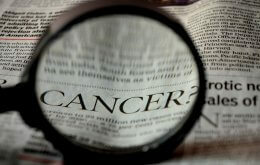 It also may be even more effective when used in combination with other anti-cancer drugs. “While traditional cancer chemotherapy is frequently limited by significant toxic side effects, it is drug candidates like COTI-2 that represent a new generation of less toxic drugs with good anti-tumor activity,” said Dr. Wayne Danter, COTI’s President and Chief Scientific Officer. COTI-2’s development will be guided by Dr. Daniel Von Hoff, TGen’s Physician-In-Chief and Senior Investigator of TGen’s Clinical Translational Drug Division. Dr. Von Hoff has led the development of numerous successful cancer therapies. Dr. Von Hoff’s biography can be found at www.tgen.org/research/index.cfm?pageid=77&peopleid=65. “We are ready to move this exciting new agent to patients quickly and to identify patients most likely to benefit from COTI-2,’’ said Dr. Steve Gately, TD2’s President and Chief Scientific Officer. The relationship between TD2 and COTI was initiated at BioPartnering North America 2008 thanks to the Canadian Consulate-Phoenix, which sponsored TGen’s participation at the conference. The Canadian Consulate-Phoenix plays a key role in making strategic introductions across Arizona’s universities, research facilities, local communities and commercial companies. “I am thrilled to see this new drug development collaboration between TD2 and an emerging Canadian biotechnology company. The Canada Arizona Business Council hopes that many more will be done,’’ said R. Glenn Williamson, Chief Executive Officer and Founder of the Canada Arizona Business Council. COTI a is drug discovery and preclinical drug development company formed around a unique computational platform technology called CHEMSAS®, which allows for the accelerated identification, profiling and optimization of targeted small molecules potentially effective in the treatment of human diseases for which current therapy is either lacking or ineffective. Currently, six targeted libraries of lead compounds are under active development: small cell lung and other cancers, multiple sclerosis, HIV integrase inhibitors, adult acute leukemia, colorectal cancer and Alzheimer’s disease. For more information, please visit www.criticaloutcome.com.